Don’t trust us, trust Science: Abbott is among the best science-based companies to work for in the world. For the 13th year, the journal Science today recognized Abbott on its Top Employers list, evaluated on 23 characteristics including financial strength, easy adaptation to change and a having a research-driven environment. 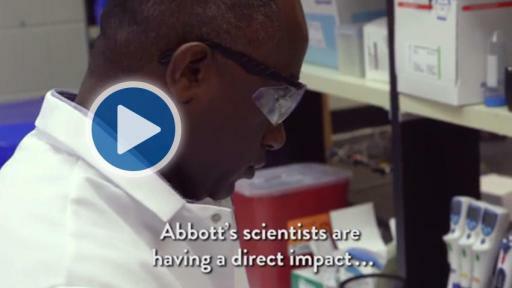 The clarity of Abbott’s mission to help people live better, fuller lives through the power of health creates an environment that fosters growth and development as a scientist, Frels said – and ultimately leads to our next great innovations. 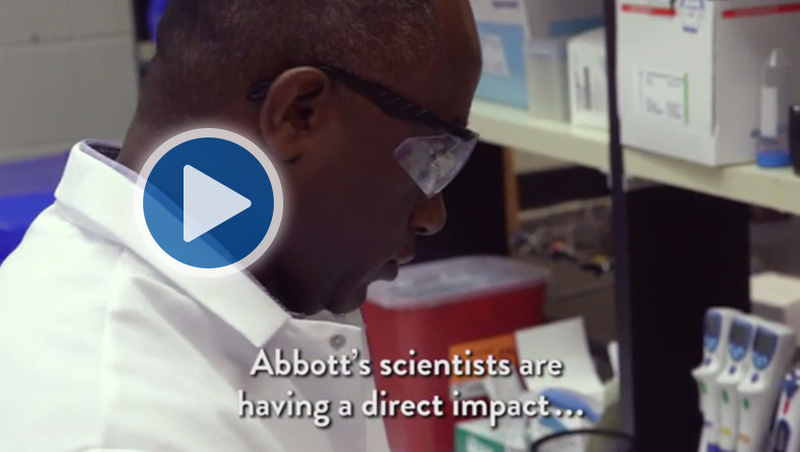 Scientists at Abbott are given opportunities to advance science, technology, medicine and nutrition to help people live fuller and more complete lives. The company recognizes this commitment through a number of internal recognition efforts, including chairman’s awards, president’s awards, and patent and inventor awards. The company honors its most distinguished scientists and engineers with induction into the prestigious Volwiler Society, named for the late Ernest H. Volwiler, Ph.D., an internationally recognized scientist and former Abbott president and chairman of the board. 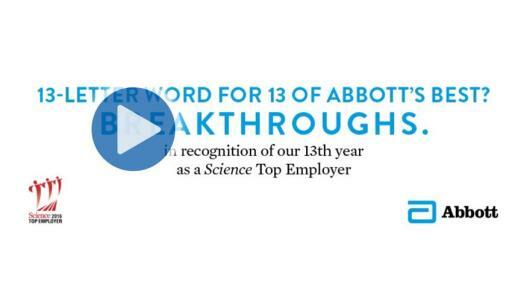 In addition to being honored for workplace leadership by Science, FORTUNE magazine has named Abbott as one of "America’s Most Admired Companies" every year since the list’s inception in 1983. Working Mother and DiversityInc magazines have also ranked Abbott as a top employer, and the National Association for Female Executives again named Abbott among the Top 50 Companies for Executive Women in 2016. Nearly 6,000 scientists from around the world (56 percent North America; 28 percent Europe; and 12 percent Asia/Pacific Rim) voted on the companies they considered the best, average and worst employers. Here’s a complete list of the rankings, which are also available in the Oct. 28, 2016, print edition of Science. At Abbott, we’re committed to helping you live your best possible life through the power of health. For more than 125 years, we’ve brought new products and technologies to the world – in nutrition, diagnostics, medical devices and branded generic pharmaceuticals – that create more possibilities for more people at all stages of life.